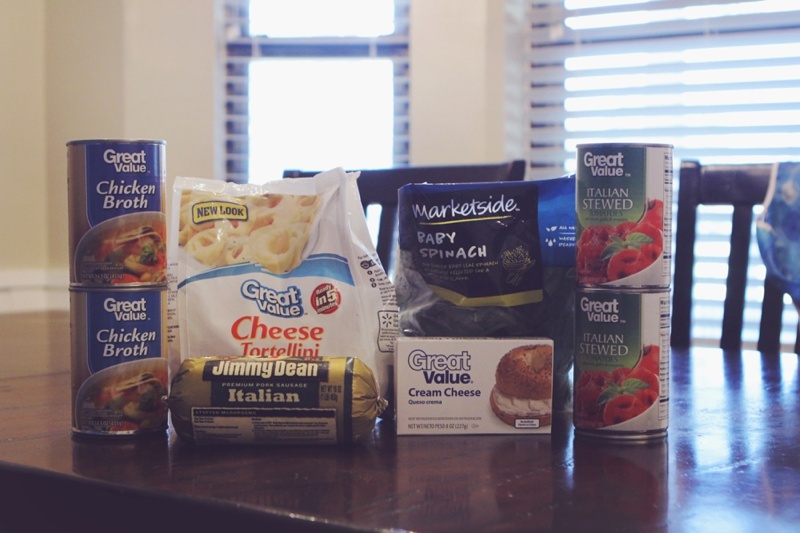 So today I'm going to share a new recipe for our family. It was Soooo good! Soooo good that the kids ate it for a snack after school and then ate big serving for dinner too. This is by no means a "cooking" blog because I don't "think" cooking. I cook because it is a part of my job description as wife and mom. And there are negatives about every job. To me this is one of them. I got married at 29 and up until then I was perfectly content with a bowl of cereal or a smart one for dinner. Then I married a man who requires meat with every meal. This was actually one of the most challenging parts of us learning to be married! 1. I can remember the good ones. 2. My kids can have our "heirloom" recipes they grew up eating. 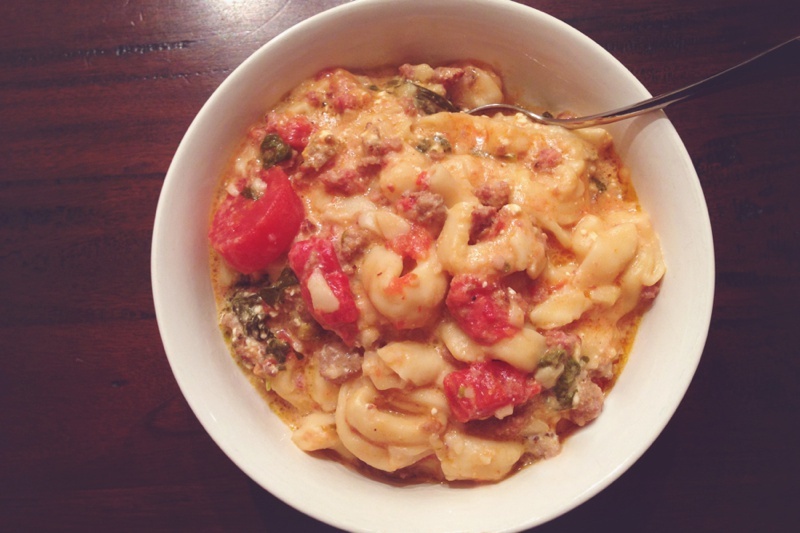 This recipe is (Crockpot) Cheese Tortellini and Sausage. Grant came home and said, "Wow, that looks fancy what got into you?" 1. Brown 1 lb of ground sausage (I used Italian). This is the hard part. 2. 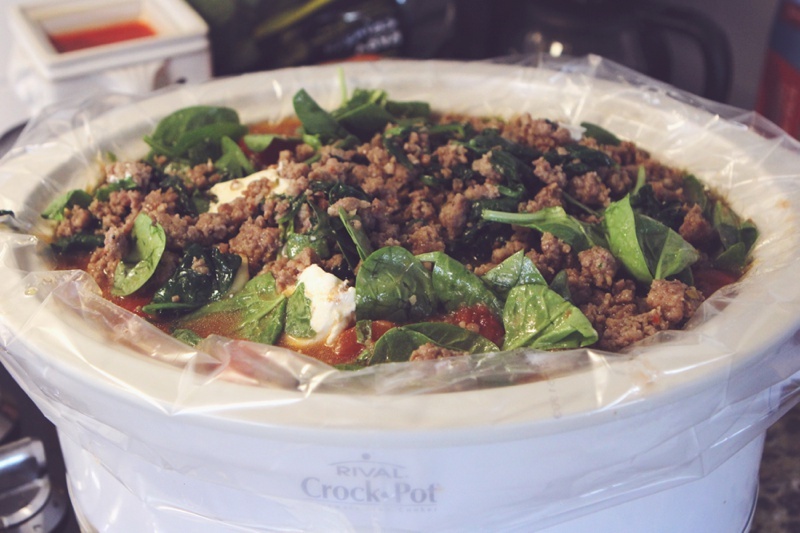 Put the sausage and all of these other things in the crockpot on low for 5-6 hours. With four kids Walmart is "THE store". Plus it is the only thing close to our house.